Fern swamp habitat occurs where there is poor drainage in a high rainfall area. Low light intensity in the under storey means that many plants have large dark green leaves with dense chlorophyll that absorb a maximum amount of light. 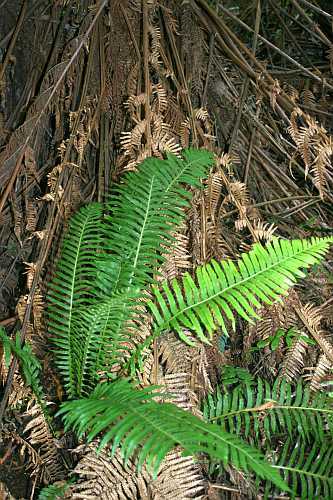 The soft tree fern (Dicksonia antarctica) overhangs the boardwalk and has leaf bases that are smooth with soft hairs. 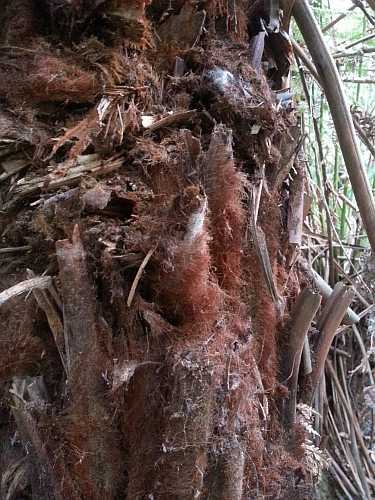 The rough tree fern (Cyathea australis) is at the end of the boardwalk and has leaf bases covered with short spines. 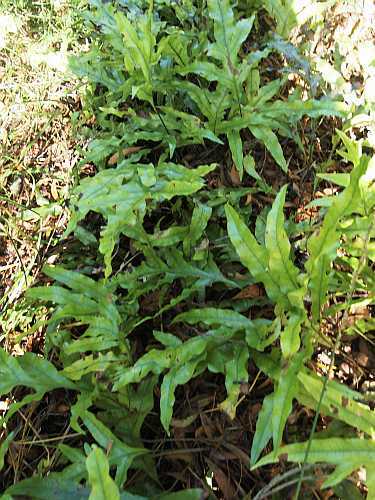 Young fern fronds unfold at the apex of the plant and are called croziers. 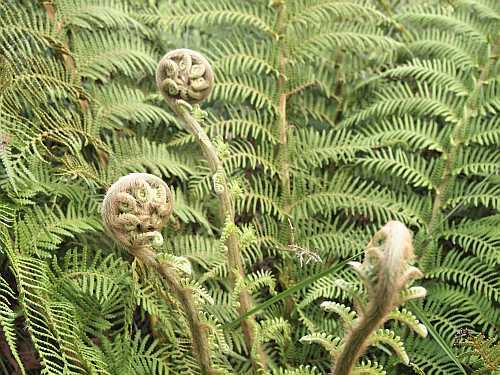 Tree ferns grow splowly, Dicksonia typically takes 30years to develop a 1m trunk and those with a 2m trunk may be well over 100 years old. 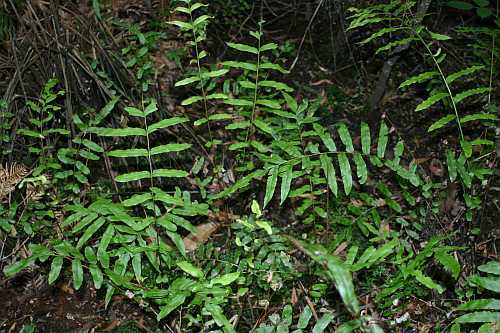 Kangaroo fern (Microsorum diversifolium ) is an epiphytic fern which means it grows on another plant but is not parasitic. 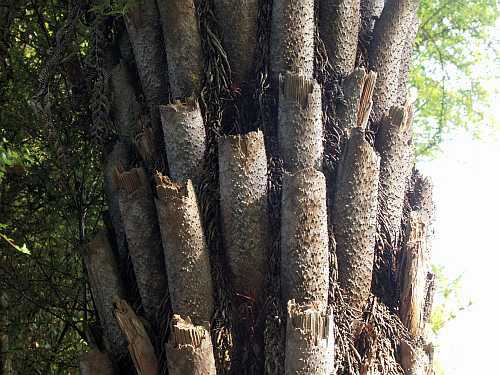 It benefits from the relationship growing on trees and logs receiving more light than if it were on the forest floor.